Website for the Proximity of Being project, where you can find photos and video clips of our project! Find my work in progress, event announcements and art I find notable on this Instagram page. Get the best look at the breadth and talent of this organization from this website. The Wordpress site for Gentileschi Aegis Gallery Association (GAGA). 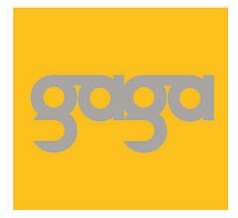 Keep up with the latest GAGA news with founder, Sylvia Benitez. 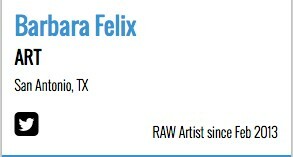 She promotes our exhibitions in San Antonio and throughout Texas. In March 2013 I participated in RAW Artists: Generations. The one night event featured artists from various disciplines: fine art, photography, make-up, fashion design, jewelry design, music and video. It was a really fantastic experience!